::: Off the Radar :::: Feeling Spiritualized? 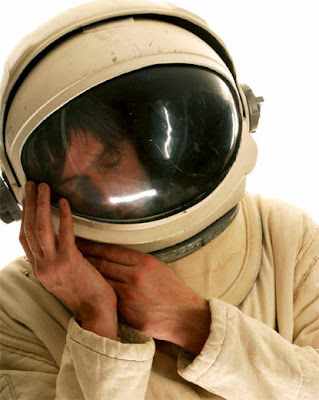 Been awhile since we've heard from Spiritualized and their main man Jason Pierce. 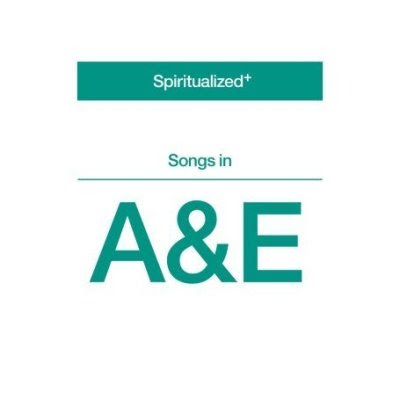 The wait's almost over as they're set to release their New Album 'Song in A & E' on May the 27th. I managed to listen to about 5 tracks so far, including the First Single 'Soul on Fire'. They're mostly of the downtempo variety, but that's kinda what they do best and what their fans love about them. I've never been the biggest fan, but I know many are and I still appreciate their music and Jason's voice and vision. I'm sure this one will be a welcome return to form for this great band who in 1997 had NME's top album of the year with their classic 'Ladies and Gentleman We Are Floating in Space'. Here's one of my Favorite Classic Tracks from Spiritualized. 'Do It All Over Again' off of 2001's 'Let It Come Down'. Another great album they had that I had forgotten about. Here's a BBC interview with Jason talking about a medical warehouse with stuff they used for their new video 'Soul on Fire'. Here's the finished product. You can see were they incorporated the medical gear. The video came out great! Nice work Ray... I've been looking forward to this album for quite sometime! 'Ladies and Gentleman We Are Floating in Space'is one of my top fav albums, and since you mentioned their artwork, you must read an interview CR (Creative Review) gave JP and Mark Farrow; their sleeve designer. You'll have a peak at the art inside. Great interview. To add more to the dying art of record sleeve design, Mark Farrow falls into the likes of classic sleeve designers such as Brian Cannons, Peter Saville or Peter Blakes. PS: The cover for Zeigeist, as well as their music is amazing! !